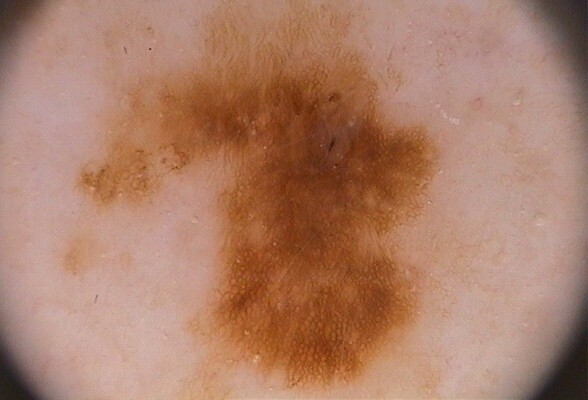 Mole screening is one of the most advanced methods for the early diagnosis of skin cancer. Using a medical camera called a dermascope, a microscopic image can be taken of your mole(s). The images are then quickly analysed giving you an instant diagnosis and then stored for follow-up appointments. If you are only concerned about one mole, individual mole screening can be performed. Two images are taken – an overall image of the mole and a microscopic image. These images are then analysed. Results are instant and give an indication as to whether the mole is safe. This is only used as a guideline and your Practitioner will decide whether the mole should be removed or monitored. Skin cancers are often curable if diagnosed early so these procedures play an important part in detecting the disease. Mole screening is highly recommended for most people, particularly if you enjoy excessive sun exposure. Should your results indicate a mole or lesion needs to be removed, Absolute Aesthetics are able to arrange the surgical excision, usually within 24 hours by a GP or Consultant Surgeon. Suspicious lesions will then be sent to histology for further checks and confirmation. A GP referral is not required for this service.